A very artistic photo of the 28th Avenue light rail stop in Bloomington, MN. 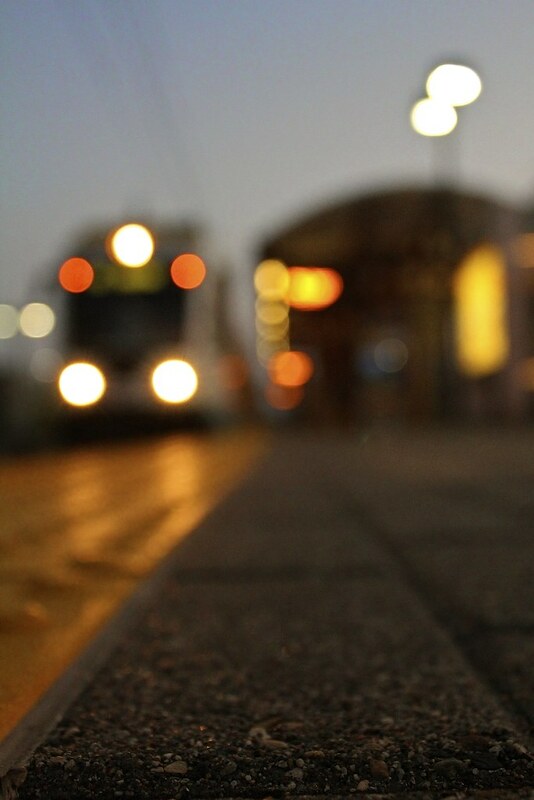 The shallow focus nicely sets the mood making for a very urban feeling photo. The photographer says: I was sitting down for an hour trying to get this shot and the passengers were looking at me like I was crazy.